GLR Armani is an absolutely stunning male. Now in his 3rd fleece with his crias starting to come, he could not be any more wonderful. 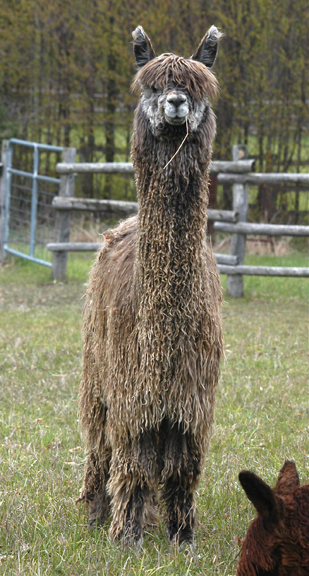 He has a regal-yet-gentle presence, high luster, big bones, an amazing freckled face, and now, gray crias who will carry on his name in the show ring! There aren't too many full Peruvian grays in the world, and Armani is ROSE gray--a shade of taupe that swirls and stripes his body like a water color painting. He puts a whole new spin on "unusual". 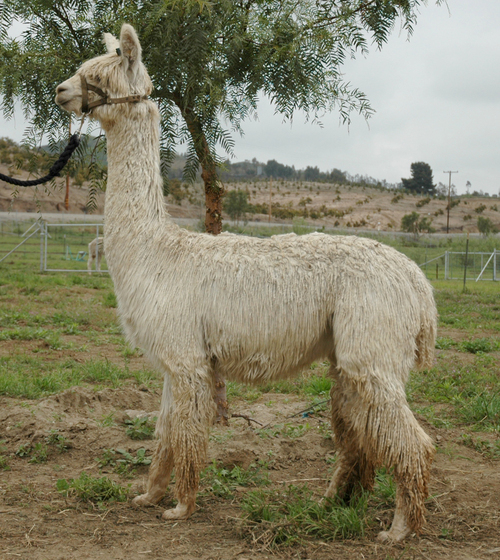 Armani is taking breeding reservations, both at Windy Hill and at Pacashack, our partners in Armani. Get your girls on his list. Come out and see the crias. You are going to want a breeding or 3 to this guy! AWH Shasta has a tremendous genetic background! 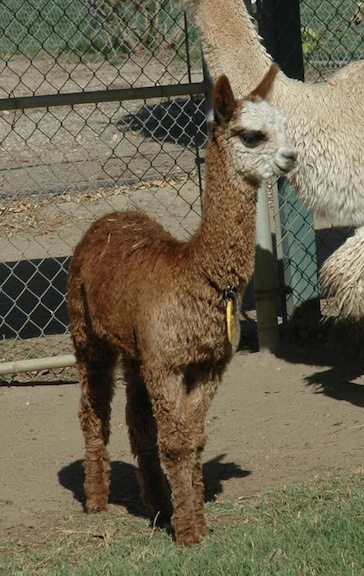 Her sire is Meadowgate Peruvian His Eminance, a dark rose gray male who produced several wonderful gray offspring. We were surprised that he didn't throw gray with Matilda, his gray genetics were so deep. Her dam is Pucara Matilda, a wonderful female we bought years ago from Jude and Al. Matilda gave us several daughters and we still have 2 in our breeding program. Because she had produced color, we thought she might do gray, but she gave us white instead. Matilda still holds a place in the Top 5 EPD's in the nation! However, when we bred Shasta to Silvano, our silver stud from PVA, she threw gray the first time, and a brown girl--AWH St. Helen-- who sure looks like she ought to be gray. She may get there yet! 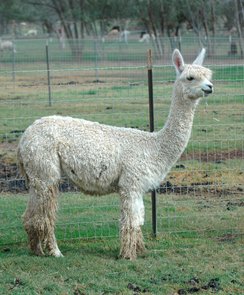 This year we bred her to GLR Armani, our modern gray male. Armani is a fabulous mix of gray and dark fawn--he's almost taupe! He has very strong gray genetics, several generations deep. We are betting on a gray this year for sure! Shasta is a nice girl to handle, not too big, and has babies like water off a duck's back. She nurses them well and takes great care of them. AND she is part of the Crazy Fall Alpaca Sale for $2000! Unbelievable value! Come and get her!